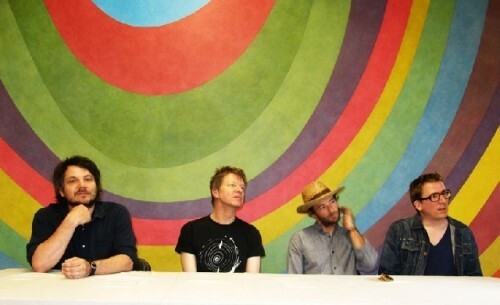 Wilco returns to Mass MoCA. 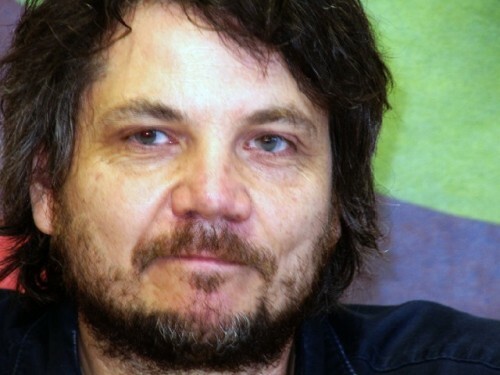 Jeff Tweedy the leader of Wilco. The Solid Sound 2013 lineup of musical performers is set and will once again feature two headlining shows by festival founders Wilco. The Chicago sextet will perform on opening night, Friday, June 21 and then again on Saturday evening, June 22. Joining the three-day celebration will be the acclaimed singer and songwriter Neko Case, indie-rock heroes Yo La Tengo, jazz adventurists Medeski, Martin and Wood, Duluth's low-fi darlings Low and a reunited Dream Syndicate whose Solid Sound performance will mark the full band's first North American concert in 25 years. Solid Sound Festival returns to the Massachusetts Museum of Contemporary Art (MASS MoCA) in North Adams on June 21-23. Tickets are on sale now at solidsoundfestival.com. Keeping with tradition, this year's festival will present Wilco members' side projects throughout the weekend: Nels Cline will perform with guitar virtuoso Julian Lage; Glenn Kotche's On Fillmore will back a live performance of the popular public radio show Radiolab; Mikael Jorgensen presents his synth-driven collaboration with Greg O'Keeffe; and John Stirratt and Patrick Sansone's The Autumn Defense round out the side-project programming. This year's lineup is rich with new or up-and-coming talent including the SoCal duo Foxygen, Austin's White Denim, Brooklyn's Lucius and the Brattleboro, VT folk singer Sam Amidon. Also taking one of the four musical stages this year will be Marc Ribot and David Hidalgo's stirring Border Music project, the Brazilian psych-rock band Os Mutantes and soul and gospel greats The Relatives. And speaking of relatives, Spencer Tweedy, son of Wilco's Jeff Tweedy, makes his Solid Sound Festival debut performing with his band The Blisters. "We still have one or two surprises up our sleeves," said one of the festival organizers and Wilco manager Tony Margherita, "but we're pretty excited about this lineup and this year's schedule of events. This will be one hell of a festival and a really good time." "This is a lush program full of great music and quirky corners...we can barely wait!" said Joseph Thompson, Director of MASS MoCA. "Wilco's re-inhabitation of Mass Moca is gorgeous, artful, and fun...you just don't get that every day." Musical programming is carefully scheduled so no performance directly overlaps with any other, giving festival-goers the opportunity to see and hear all scheduled music throughout the weekend. Music joins the already announced lineup of comedy featuring returning master of comedy ceremonies John Hodgman, with Reggie Watts, Al Madrigal and Jen Kirkman. Early bird 3-day passes for Solid Sound 2013 are $124 and available now at solidsoundfestival.com. The 3-day pass price will soon increase to $149. 3-day passes for children ages 7-10 are $50 and children 6 and under are free. A limited quantity of single-day tickets will also be made available soon. In addition to ticketing, solidsoundfestival.com features useful information about area lodging and the expanded official festival campground, Solid Ground. Tickets for direct Peter Pan bus transportation to and from the festival from New York City and Boston can also be purchased through the festival's website.